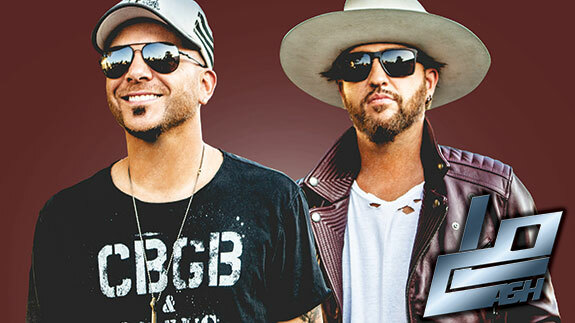 Creating a sound that fuses modern Country and classic heartland rock with an edgy vocal blend, Wheelhouse Records’ LOCASH is the Country music duo made up of singer-songwriters Chris Lucas and Preston Brust. Their chart-topping singles include “I Love This Life,” “I Know Somebody” and “Ring on Every Finger.” Join us for a night of great music and fun! Tickets go on sale Monday, December 10 at 9AM.